Strong as Earth Pony, Flying as Pegasus, Magic as Unicorn and Disguise as Changeling! Interesting and pretty to boot! and here is the most perfect pony in all of Equestria~ Love AJ, love changelings. Combined? oh yes please. 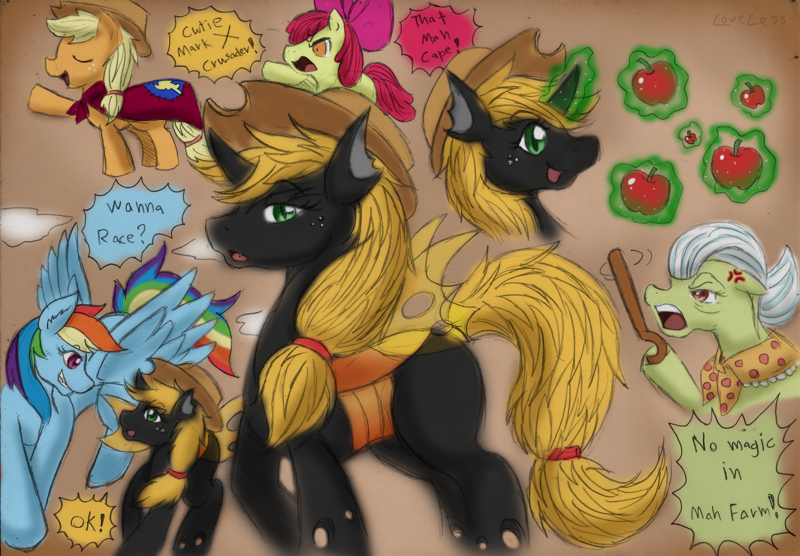 If I could, I'd want to commission more ChangelingJack!